Dante Lam of Hong Kong action cinema fame (The Sniper, The Viral Factor, Operation Mekong) brings us the “first modern Chinese naval film” — Operation Red Sea, loosely based on the Chinese evacuation of its citizens during the onset of the Yemeni civil war. Cinema Escapist previously touched on modern Chinese military films in our review of Wolf Warrior 2 — where we raved about the embrace of modern patriotism and a departure from the classic propaganda elements of less-favoured Chinese movies in the past decade. With Operation Red Sea set to come out on the day after Chinese New Year, we’re superpumped to see if China will continue its trend of producing patriotic yet action-packed blockbusters celebrating the heroic escapades of its fighting force. 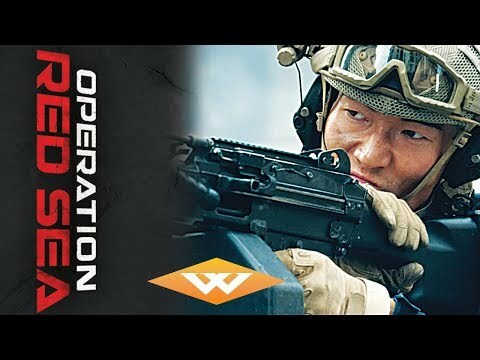 Operation Red Sea (Chinese: 红海行动) is set to release in China on February 16th (the day after Chinese New Year), with a US release to follow on the 23rd.